At Safe Passage, we host a variety of events throughout the year focused on engaging the surrounding community while supporting our life saving mission. Check out the events we've offered in the past, and join us in the furture for a fun time in the name of a great cause! We welcome and appreciate groups and organizations who choose to do a fundraiser for Safe Passage. Please contact Jane Yorn for more information. December event draws record crowd! The 6th annual We Help. We Heal. We Hope fundraiser on Dec. 1 at Walhill raised over $75,000. There were 350 people who attended and heard from three inspirational speakers about their story of Sexual Assault or Domestic Violence. 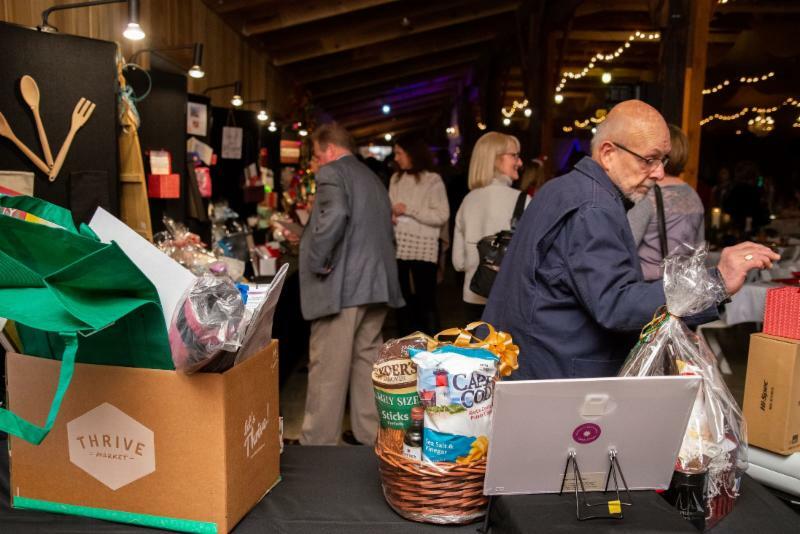 The six live auction items raised over $11,000 and the 39 raffle packages generated more dollars, with the most popular being the Nambe Nativity scene, followed by the tool boxes and tool set. There were 47 sponsors donating from $250 to $10,000+. Outgoing board member Mick Wilz was recognized for his active role on the board. Several commented that the 34 tables decorated by org anizations and individuals were the most unique and beautiful ever! "We are grateful to those who attended, donated for the auction and raffle or bought a Tree of Hope ornament, and to those who shared their own story...Each piece was essential to the event's success," said Jane Yorn. "You are truly a gift!" 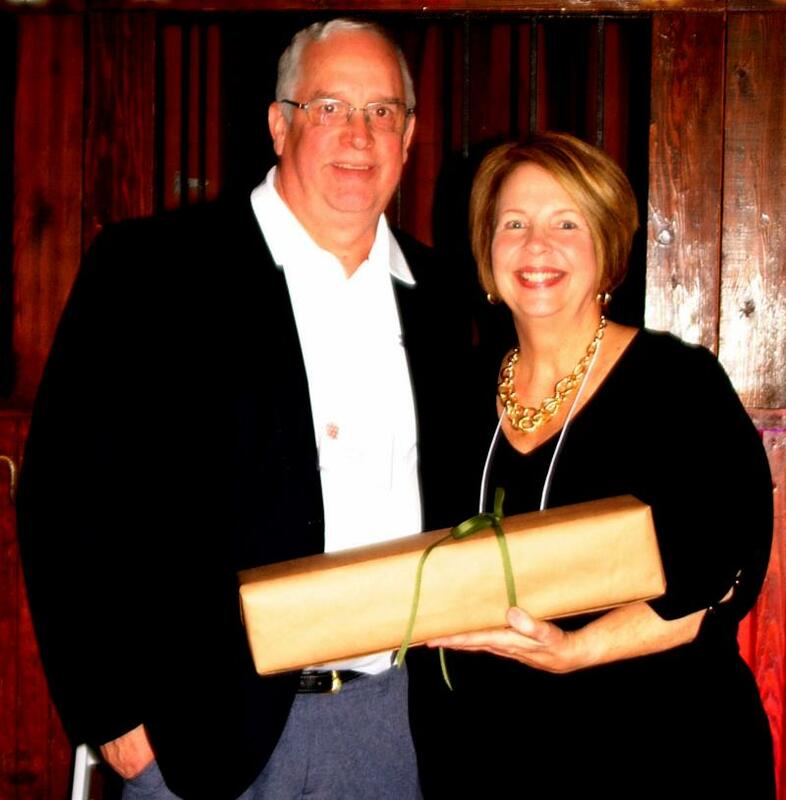 Executive Director Jane Yorn presents Mick Wilz a gift for his service to Safe Passage at the Dec. 1 fundraiser..